Bhubaneswar: Prime Minister Narendra Modi reached at the Veer Surendra Sai Airport in Jharsuguda. He will first attend BJP’s Vijay Sankalp Samabesh in Sambalpur and later take part in a road show in Bhubaneswar. The Prime Minister will address Vijay Sankalp Samabesh at Jalan Estate in Remed Square. Later in the afternoon he will hold roadshow in Bhubaneswar. He will start his roadshow from near the Biju Patnaik International Airport and reach the public rally venue at Baramunda Ground covering Ganganagar and Siripurat 4 pm. Both the Bhubaneswar and Sambalpur Lok Sabha constituencies will go to elections in the third phase on April 23. 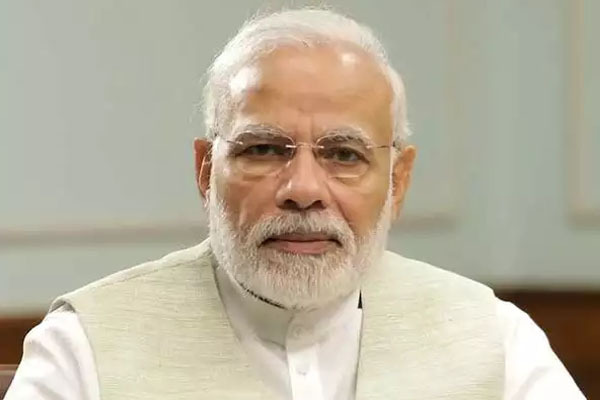 Meanwhile, the PM has addressed election rallies in Sundargarh and Sonepur in western Odisha where voting for simultaneous assembly and Lok Sabha polls will take place in second phase on April 18. The party has fielded candidates in all the 21 Lok Sabha and 147 Assembly seats in the State where balloting will be held in four phases.